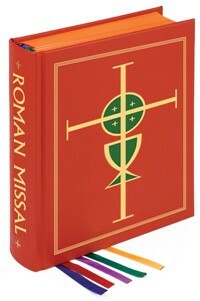 ROMAN MISSAL, THIRD EDITION (Altar Clothbound Edition) This Altar Clothbound Edition of the Roman Missal, Third Edition will be published For Use in the Dioceses of the United States of America and has been Approved by the United States Conference of Catholic Bishops and Confirmed by the Apostolic See. This volume includes the enhanced features that celebrants have come to know and trust from Catholic Book Publishing: large, easy-to-read type; printed and reinforced end papers; a durable Smyth-sewn binding that is carefully crafted to ensure the highest standards; sturdy, functional tabs for the Ordinary of the Mass; and satin ribbon markers to add an elegant finishing touch. Full-color illustrations throughout add to the sacred nature of this volume. 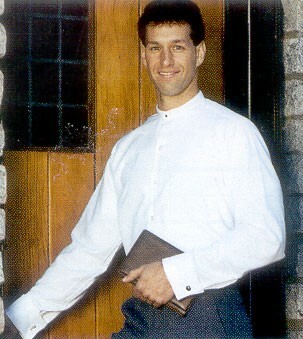 Other features in this volume include: •Large, bold, easy-to-read type for Priest’s text and music •Familiar, proven layout that respects functional page-turns •Over 300 full-color illustrations, including 25 full-page images, that enhance the sacredness and dignity of the text •Specially produced acid-neutral cream paper from established, quality mill ensures the highest degree of opacity and consistency of sheet without adding unnecessary bulk and weight •As with the present Sacramentary, sturdy, durable 80 lb. paper used for the Order of Mass provides extra strength to withstand everyday use •Doubly reinforced Smyth sewing coupled with heavy-duty 160 pt. binder’s board ensures strength, durability, and longevity •Sturdy, durable Roxite cover material •Enhanced binding methods and specifications add sturdiness to help volume retain its shape •Limited lifetime-guaranteed tabs specially designed to resist cracking, tearing, and fading •Five decorated satin ribbon page markers, designed not to fray, are enhanced by our patented insert system •Two-color stamping on front cover and spine enhances the beauty of this cherished edition In keeping with our 100-year tradition of demonstrating our commitment to excellence, every copy of this edition will be hand-tabbed and undergo rigorous inspection by Catholic Book staff to make certain it meets our stringent quality requirements to ensure your satisfaction.